Motion sickness is a common but unpleasant condition that affects millions. Many sufferers often don't do anything to treat motion sickness, and if they do, they treat it with the wrong products or ineffective methods. When left untreated, motion sickness can cause nausea, queasiness, vomiting, and dizziness. 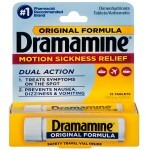 While some products only treat one symptom of motion sickness, Dramamine® treats and prevents all four. Every day, our bodies send cues from our vision, touch, and vestibular or inner ear systems to the brain to interpret using chemicals called neurotransmitters. Motion sickness occurs if one of these cues does not match. For example, passengers in cars may experience it while reading, as their body and inner ears send cues related to the movement of the car, while their eyes are focused on the book. These conflicting brain messages can cause motion sickness. Thankfully, there's help. 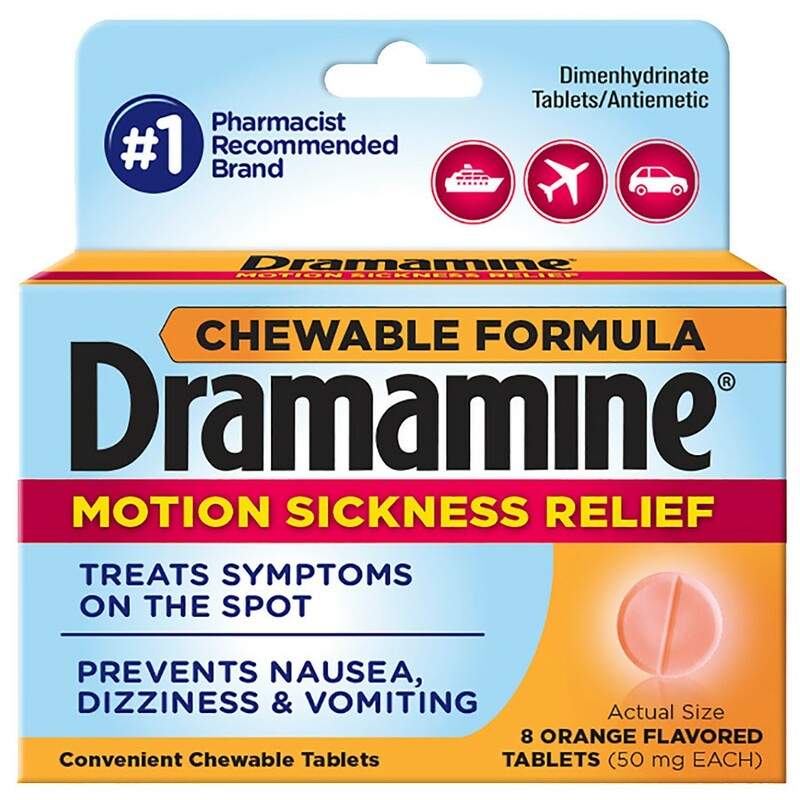 Not only is Dramamine® the most trusted over-the-counter treatment for motion sickness, it is the #1 Pharmacist Recommended Brand to both prevent and treat the condition. Depending on the cause, motion sickness is also referred to as airsickness, carsickness or seasickness. Here are some tips to help. Stick to the middle. Whether on a cruise ship, a jetliner or a sailboat—the middle of the vessel tends to be the steadiest. Stay mid-boat at sea or reserve a seat over the wings when flying to avoid too many nauseating ups and downs. Plan ahead. 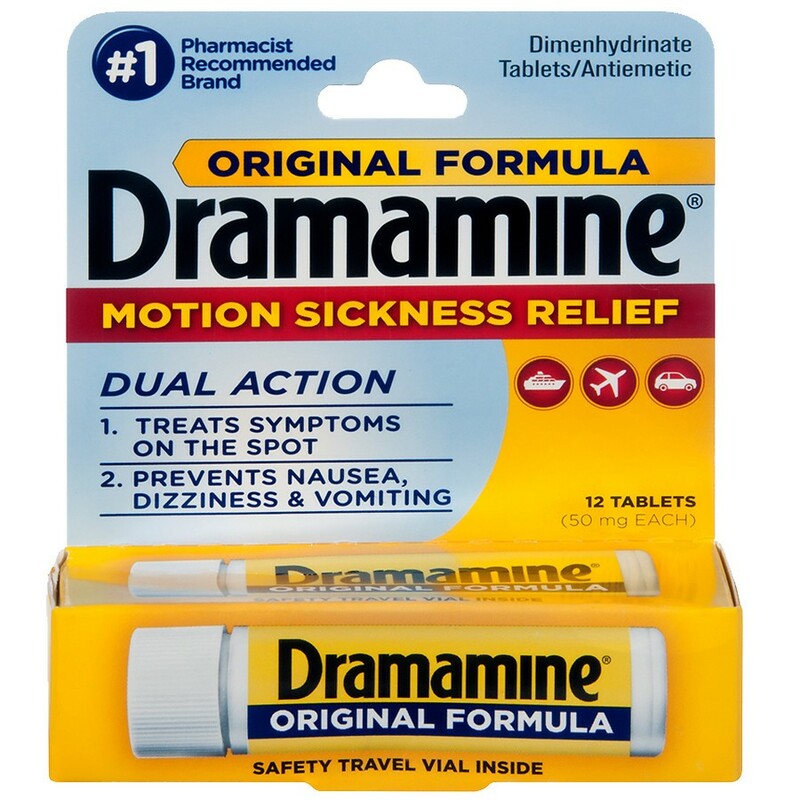 If you know you are going on a rocky ocean-fishing adventure or helicopter tour that is likely to cause motion sickness, take Dramamine® BEFORE boarding. 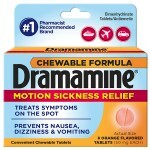 Dramamine® works best when taken as a precautionary measure. It also eases illness after the fact, but why risk getting sick? Take a turn at the wheel. Driving the car or small watercraft may distract you from queasiness. Ask your friends if you can act as a captain for a while. Sit in the front seat. If you begin to feel queasy and can’t drive, at least sit in the front seat. You’ll feel better if you can face the direction in which you’re headed and stare at a non-moving object. Steer clear of fumes. Ferryboats in particular seem to chug out a lot of stinky exhaust that can make a seagoer go from slightly queasy to all-out nauseated. Stay hydrated. When traveling with your best buds, there may be some drinking involved. Toast your besties with a glass of bubbly ginger ale or stick to bottled water on your Catamaran tour or hot ballooning escapade. Avoid alcohol, which can increase dehydration and nausea. 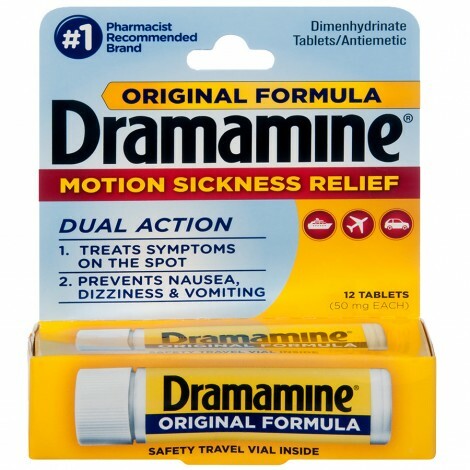 Always, always, always bring Dramamine® with you! You may not think you'll need it but you don't want to be caught in the air, on the water, or on the road without this nausea-minimizing miracle worker. 33% of all kids 2-12 suffer from motion sickness. Dramamine® is the only leading brand to have developed a solution formulated specifically for children two years and older, not only preventing nausea, dizziness, vomiting and queasiness, but also treating symptoms on the spot. Here are some tips. Stay steady. If your child is prone to motion sickness or if she unexpectedly begins to feel queasy during a trip, tell him or her to look out at the horizon and focus on a non-moving object. An older child might feel better sitting in the front seat, too. Get fresh air. Sit outdoors with your child (on a boat) or open a window (in a car or bus) when possible. The fresh air helps distract from those oogly-booglies. Bring a bucket. The last thing a parent wants to hear from a child is, “I’m gonna be sick!” This is why one of the most important items to pack when traveling with children is a bag or bucket. Be sure to keep it close at hand, too. It won’t do you any good buried beneath a pile of suitcases in the trunk. Get spicy. Ginger is a spice renowned for its ability to soothe an upset tummy. Pack a few ginger-infused, low-sugar candies in your daypack as a sweet distraction for your little one during your journey. Use distraction. Take your child’s mind off the motion sickness by playing music (on headphones on a plane). Anything that requires too much thinking, like playing a game or reading books, probably will just make things worse. Available in a 12-count travel vial or 36-count box. To prevent motion sickness, the first dose should be taken 1/2 to 1 hour before starting activity. Ask a doctor or a pharmacist before use if the child is taking sedatives or tranquilizers. To help prevent motion sickness, the first dose should be taken 1/2 to 1 hour before starting activity. Ask a doctor or a pharmacist before use if you are taking sedatives or tranquilizers.